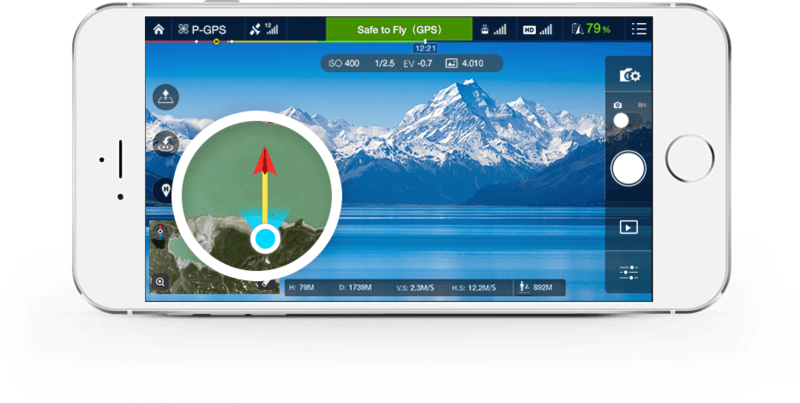 DJI Go is the essential app for controlling your drone and streaming its flight footage. To operate it effectively you will need a compatible device. Otherwise, you’re going to be missing out on some of your drone’s best aspects. In fact, you will be flying blind, so make sure your device is up to the task. You will require at least iOS 8 or Android 4.1 to run the DJI Go App. 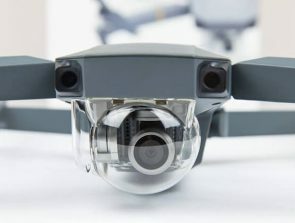 As for hardware, DJI hasn’t released any exact requirements. However, you will want 1GB of RAM and a 1GHz processor at the bare minimum. Remember you will be streaming HD video, so the more power and memory the better the performance. We have compiled a list of known devices that are compatible with the DJI Go App. Some of these have been directly stated as compatible by DJI. 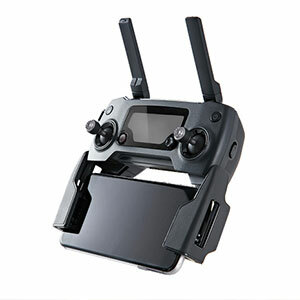 The others have had their compatibility confirmed from other users or from DJI support staff. We have also given the CPU and RAM data for each device. This indicates how effectively each device will run the app. Alright, these tables are a bit overwhelming, but we hope you found the device you currently own or the device you intend to purchase, on the list. The more RAM and the more CPU power, the better the DJI Go App will perform. To get the best results, we recommend a 2.0+ GHz processor and 3GB of RAM. Of course, more is always better. If you own multiple compatible devices, then check their specs and select the most powerful one for flying your drone. If your device is a bit lacking when it comes to RAM and CPU processing power, then you may experience lagging performance when using the DJI Go App. This is especially true of smartphones which are generally less powerful than tablets. It’s ideal to run the DJI Go App by itself. Don’t have other applications or processes running in the background. Also, make sure your device’s hard drive has some free space available. 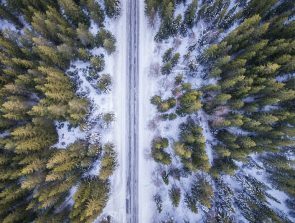 Should the connection cut out regularly then this could be due to a problem with your device or the distance that you are flying your drone at. The closer the drone gets to its maximum connection range the greater the likelihood of dropouts occurring. So try reducing the distance and seeing if that solves the issue. If not you may want to try a different device. In general, phones or tablets released within the last few years work best. The older a model is, the more likely that it will experience compatibility problems. On top of this, older models generally have less RAM and a weaker CPU, which will contribute to performance issues when running the Go App. Also be aware that the Phantom 3 Standard comes with an older controller-version than cannot fit a tablet. An extender will also be required in this situation. The Spark and Mavic drones have very small controllers, and the controller arms will struggle to hold some larger devices. If the mobile device is taller than 6.8 inches or more than 0.34 inches thick (including the case), then it will not fit. The solution is to modify the controller arms manually or purchase a special mount. 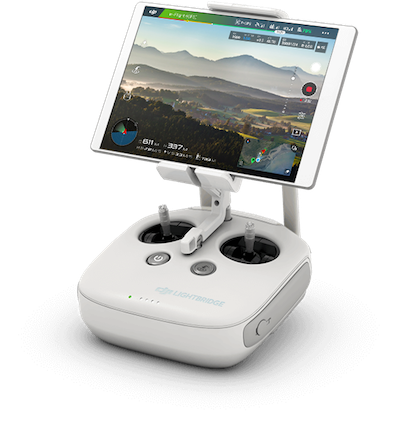 The DJI CrystalSky is a tablet specifically designed for using the Go App. If you don’t already have a tablet, then you may want to consider it. The device uses an Android operating system and is specifically designed for outdoor use. 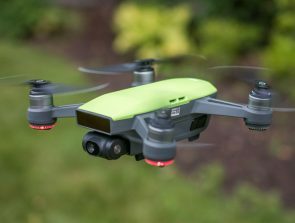 Its ultra-bright screen is easy to see when flying your drone out in the sun. Another top choice is the Huawei P10 Plus. This phone has a powerful 2.4GHZ processor and a whopping 6GB of RAM. 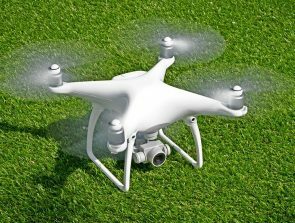 It’s also verified as compatible by DJI, so you’re unlikely to have any problems controlling your drone and streaming its video feed. The Samsung Galaxy S7, S8, Note 5, and Note 8 all perform exceptionally well. This is again due to their powerful hardware. For those who prefer iOS then the iPad Pro range is the way to go. They are heavy duty tablets that can handle the demands of live streaming. Don’t forget, you will need an extender to mount them to the drone’s controller. As for Apple smartphones, the iPhone 6 Plus or higher is recommended. Just remember smartphones generally don’t perform as well as tablets. Battery life also needs to be considered, and you should expect to use up around 30% (or more) per flight. Recommended Apple Phones: At least an iPhone 6 Plus. An iPhone 7 or 8 is better. I have a question. Does DJI Go App works with Huawei P20 Pro? Is One plus 6 support mavic pro ? ?